What is the Jointly Owned Real Property Law? As is evident from its skyline, many property units in Dubai are part of a tower development having multiple owners. Villas too are often part of a cluster of real estate units within a development. Understandably, not every owner has the same ideas and methodology in dealing with the management of developments nor bear the responsibility for the administration and maintenance thereof. To ensure the harmony between these differences in opinions, it was necessary to regulate the relationship between co-owners. Law No. 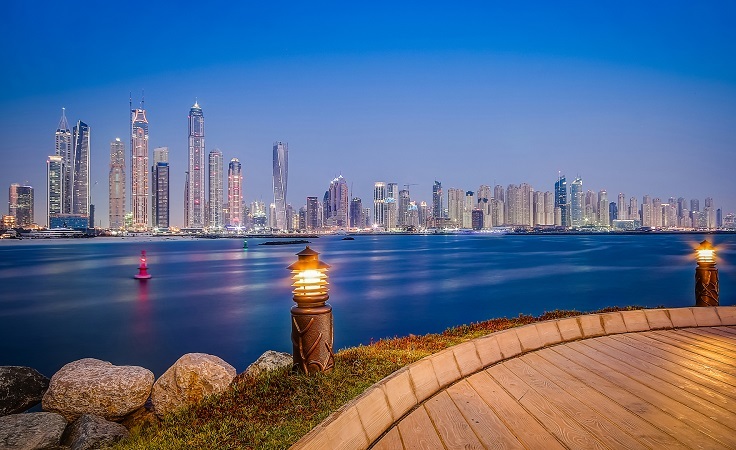 27 of 2007 Concerning Ownership of Jointly Owned Real Property in the Emirate of Dubai, or the Jointly Owned Real Property Law, provides the necessary framework within which the relationship between co-owners within these developments are regulated. *	Jointly owned real property refers to “the whole or any part of a building or land, or both, which is divided into units intended for separate ownership where parts of such building or land are designated as common areas”. *	Common areas are the common parts of real property for common use by the owners and occupiers, “which include the structural components of the building, equipment and systems for the provision of the main utilities, lobby, passages, lifts, swimming pool and any other area which the owners would use jointly in terms of their use and enjoyment of the building. In respect of real property, which does not comprise a building, the common property will include roads, pathways, ponds, landscaped areas and the like”. Jointly owned real property must be registered by the developer in a specially designated property register with the Dubai Land Department (DLD). The registration documents include the site plan, jointly owned property declaration (JOPD) and the articles of association of the owners association (OA). The JOPD sets out the pertinent details of the jointly owned real property, which include the building plans, the number of units, the type of usage of the units (whether residential, retail or commercial or a combination of these), the description of the common areas, the allocation and recording of the “unit entitlement” of each of the units, the rules which will apply to the use of the common areas or the community rules and details of waste management, water and energy efficiency measures with which the OA, owners and occupiers must comply with. Certain parts of the common areas such as the parking bays may be registered as exclusive and the right to use such area assigned to a specific owner. In Dubai each unit must have an associated parking bay. The unit entitlement is an owner’s undivided share of the common areas and is expressed as a percentage calculated as the proportion that the size of the owner’s unit occupies in relation to the total size of all the units of the development. This percentage is then used to calculate what portion of the annual service charges each owner is obliged to contribute to the OA. Naturally the OA will have a budget that it needs to meet each year, which is the joint obligation of all the owners. Each owner is represented and is entitled to participate in the decision-making of the OA. An owner has a number of votes in proportion to one’s share in a jointly owned real property in accordance with the unit entitlement. Every year the owners must elect a board of managers, which carries out the management functions to maintain and repair common areas and for the provision of utility services, security and related building management activities. Article 18 of the Jointly Owned Real Property Law provides that an OA is deemed to be a non-profit entity with legal personality independent from its members and may sue or be sued in its own name. However, not all OAs enjoy this status and a special consent is required by the DLD. The DIFC has its own real property law and registering authority of real property. Jointly owned real property in the DIFC is referred to as a “strata scheme” and is governed by the Dubai Law No.5 of 2007 or Strata Law. A unit in the strata scheme is referred to as a lot and the OA as the body corporate. The basic principles on which a strata scheme is to be managed and the rules and regulations applicable to the common areas are very similar to those applicable to a jointly owned real property. Each owner in a jointly owned real property or strata scheme has rights to the management of the real property in accordance with the percentage their property participates in the aggregate of all the real properties in any development, and is also liable for contributions towards the total expenses. Real estate property owners are often under the misconception that the homeowners association managers are the outright managers of developments. However, they are merely appointed by the OA or body corporate. Finally, the next time the OA or body corporate call an annual general meeting, your attendance will ensure your participation in the decisions taken as to who will control your investment.